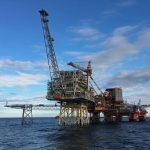 Sea and Land Project Engineering was commissioned to provide Detailed Design work and Engineering Services to OGN for a Jacket construction contract awarded to OGN by Talisman Sinopec as part of the Montrose Field Extension situated in the North Sea east of Aberdeen. The roll-up and construction stages for this Jacket, and eventual sail-away down the River Tyne, up-ending and installation in the North Sea, was reported on this web site in our news story of 18-07-2014. 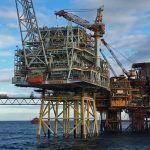 The Jacket was installed in 2014 as a basis for a new Topsides and Bridge-link to the Montrose Alpha Platform. 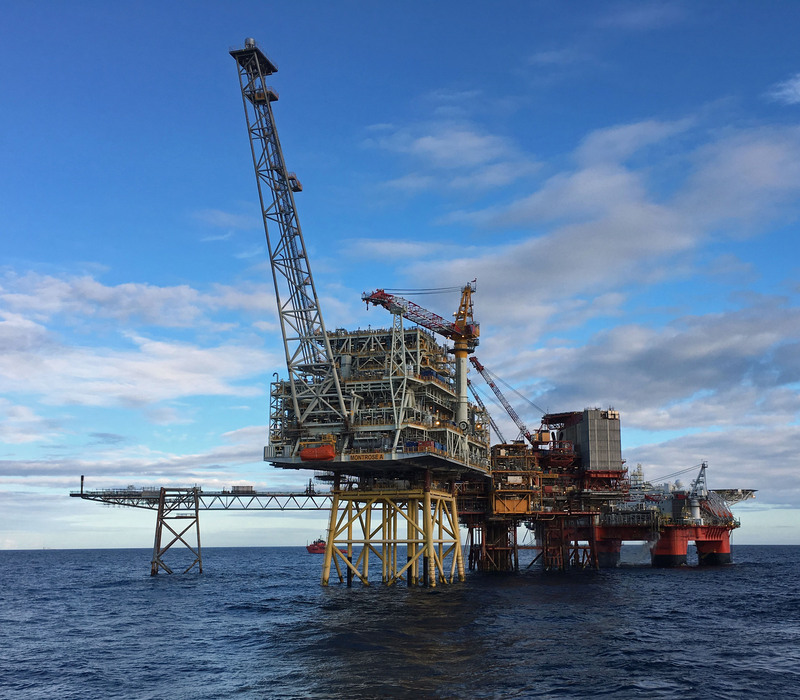 In May 2016 the Topsides, weighing 10,500 tonnes, was brought to the field from the Netherlands by the SSCV Thialf Crane Vessel and placed onto the awaiting Jacket. 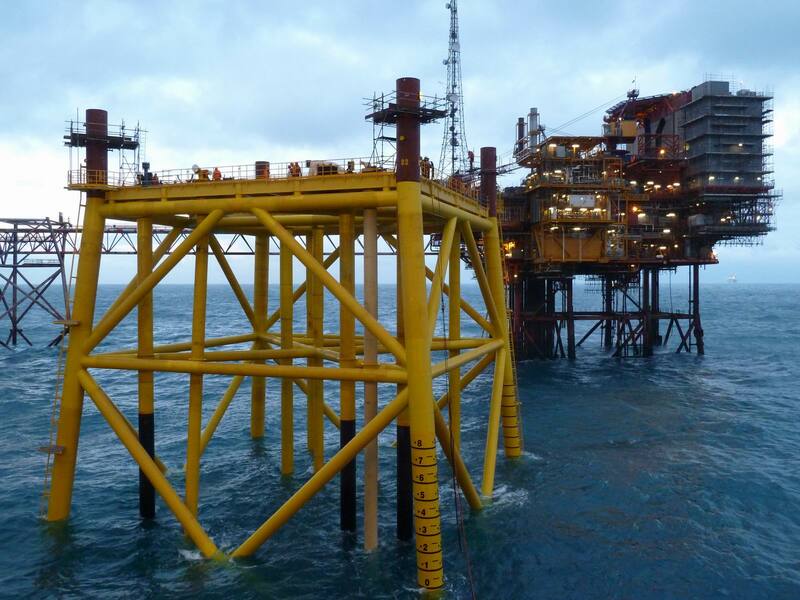 The Bridge linking it to the Montrose Alpha Platform was installed in the same operation. In the photos below you can see the Safe Boreas Accommodation Vessel (with orange stabilisers going into the sea) brought in to support the next phase as the Field Extension is brought into commission, with First Production expected in early 2017. 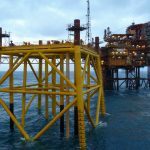 The photos show the new Topsides on the Jacket. 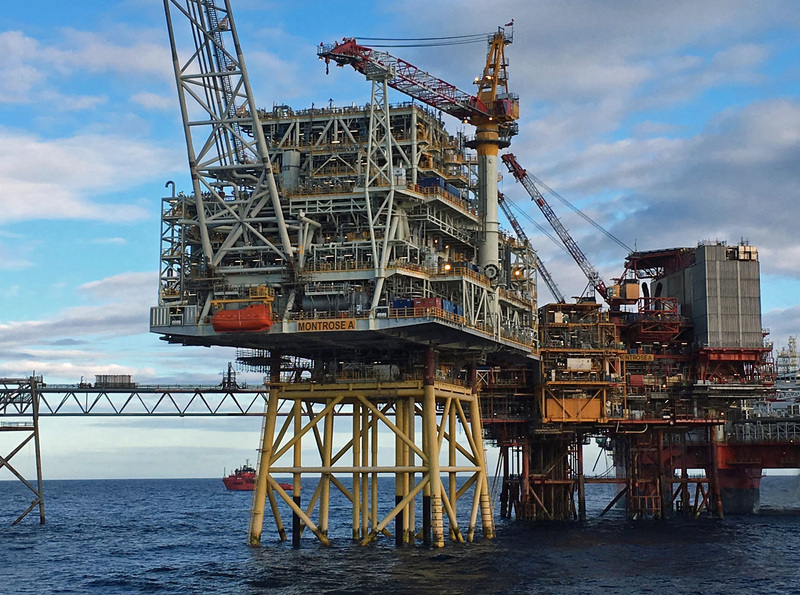 The Bridge Link connecting it to the Montrose Alpha Platform and Flare Boom is situated directly behind, but out of view. The addition of the Extension should see the life of the Montrose Field now extended to at least 2030, or beyond.